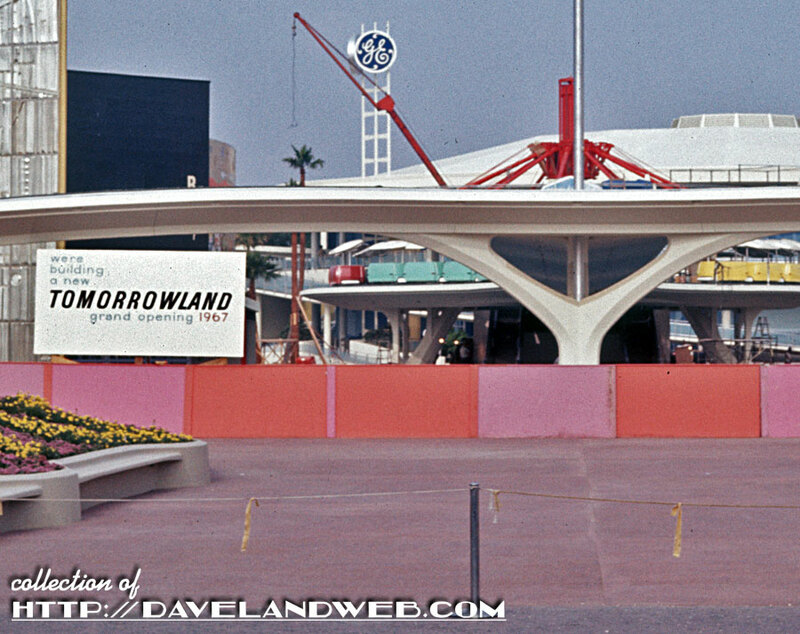 Welcome to the construction site of "New" Tomorrowland. 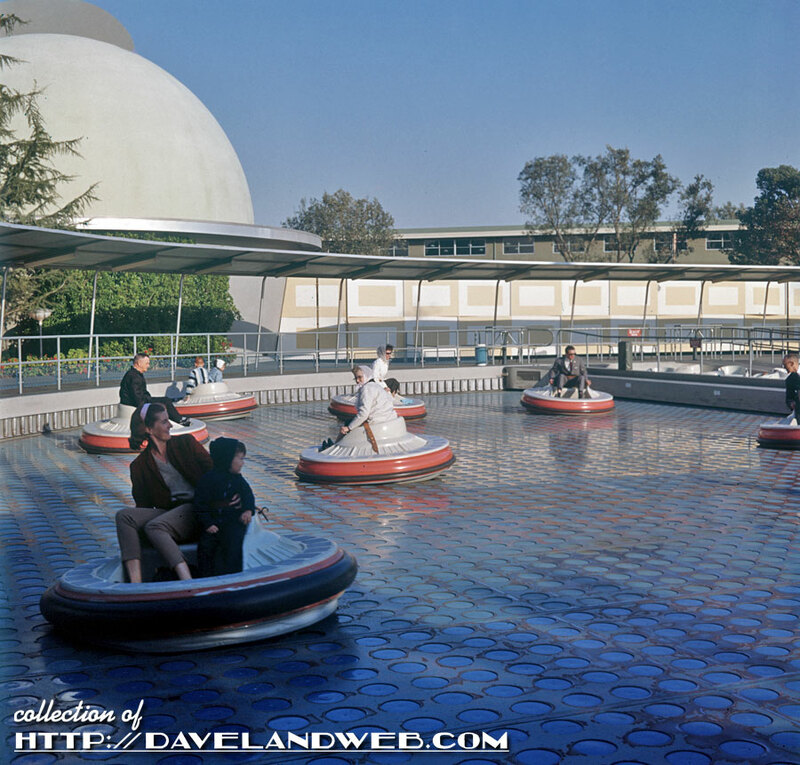 This was the Tomorrowland of Walt Disney's dreams, since it was the land that he had to give the shaft to at the last minute in order to stay on deadline and not borrow any more money from the banks. 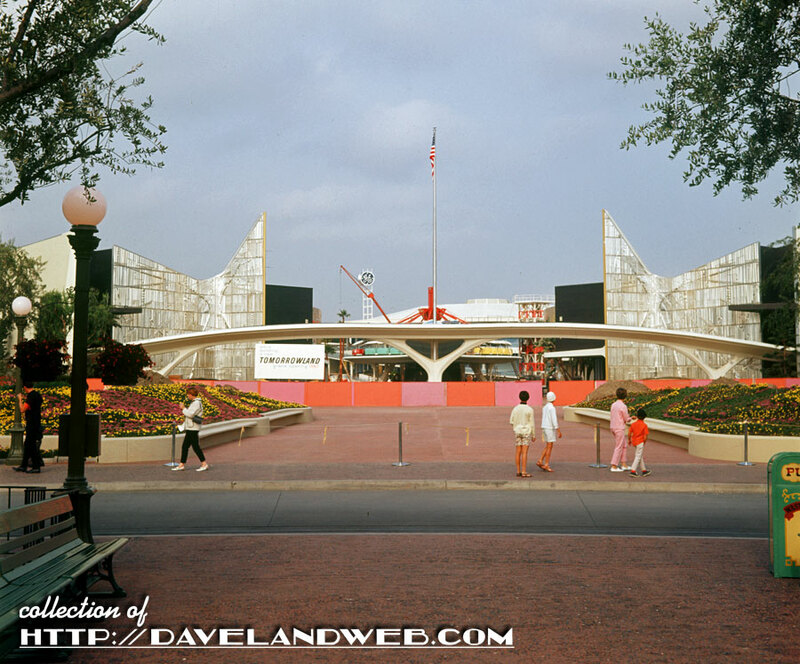 Zooming in a little closer to this 1966 image, we can see that the Peoplemover is already in place. 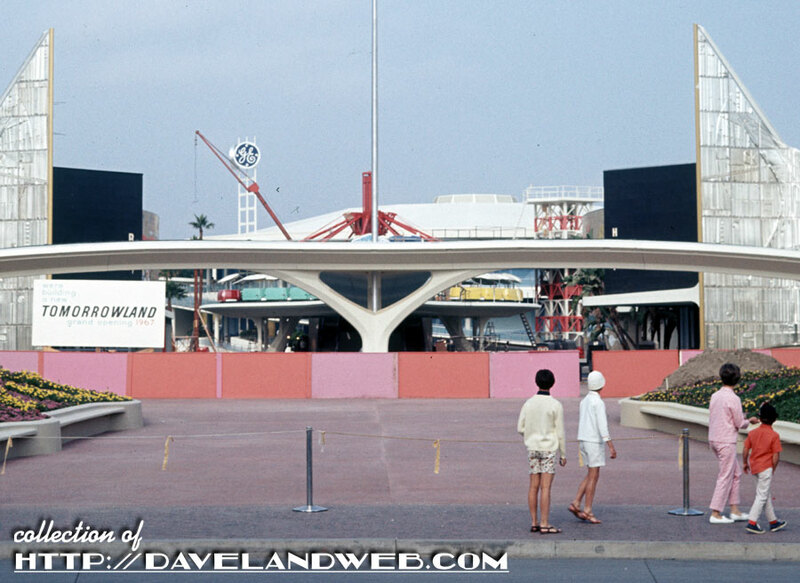 Just one more step closer and we can read the sign: "we're building a new Tomorrowland grand opening 1967." 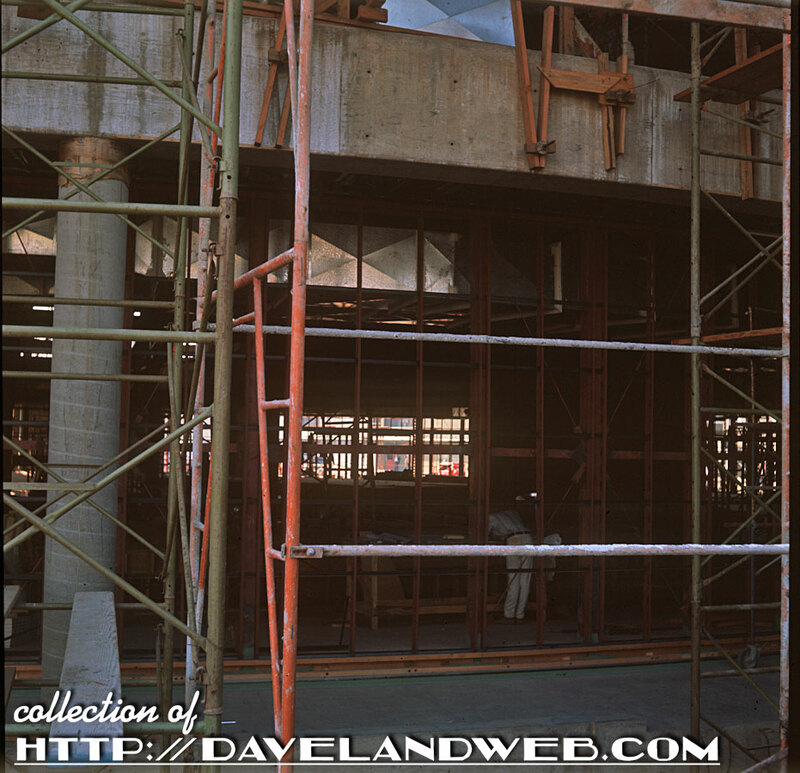 2 more construction shots from this batch to share. 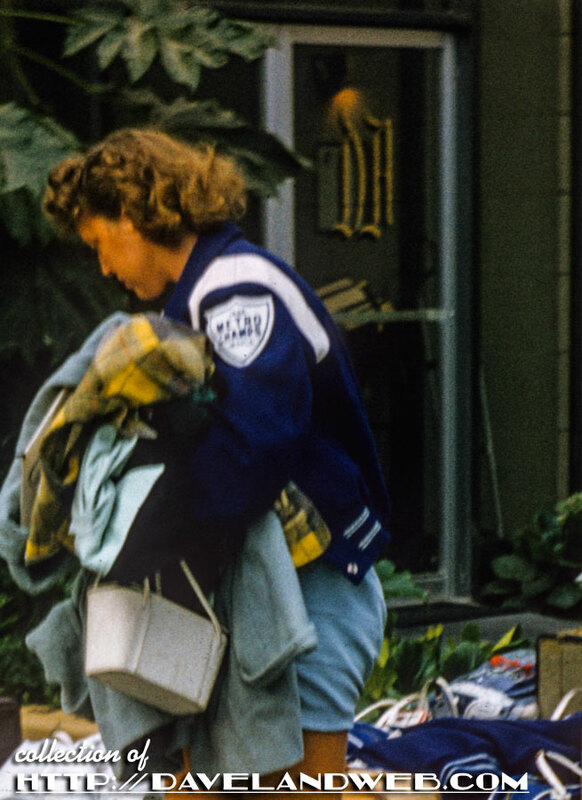 Zooming in, could that be Walt in the blue cardigan? Let's just say it is and I won't argue. 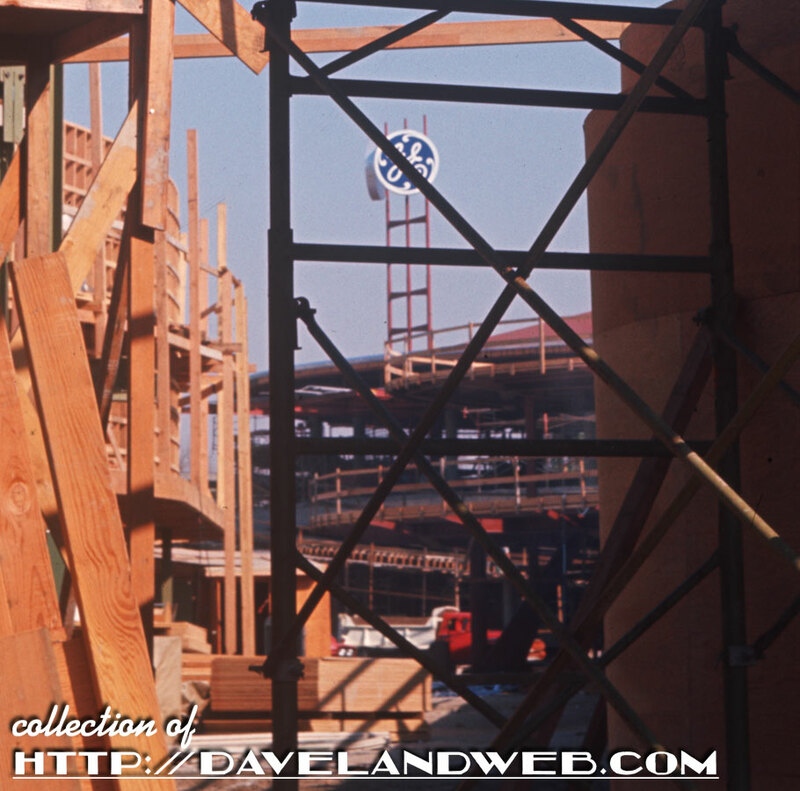 In this one, you can see the Carousel of Progress attraction building coming along nicely. The GE sponsorship logo is already prominently on display. 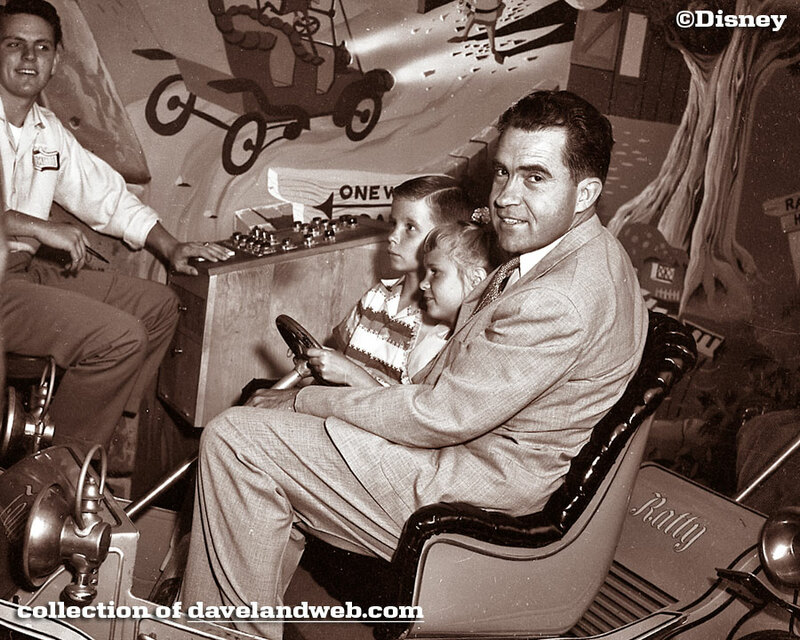 More "New" Tomorrowland photos at my main website. 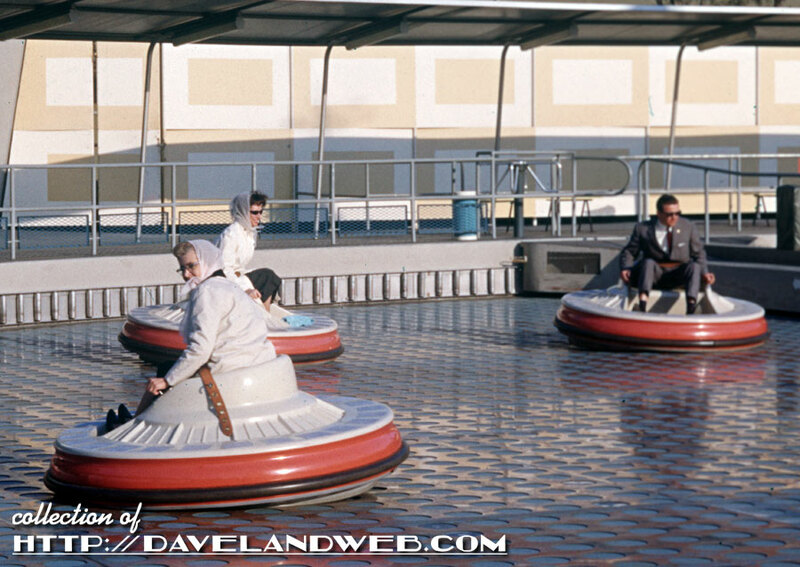 Did I really need another Disneyland Flying Saucer vintage image for my collection? Probably not. But who could pass up this beauty showing two ladies protecting their bouffant hairdos with a scarf? More Flying Saucer photos at my main website. 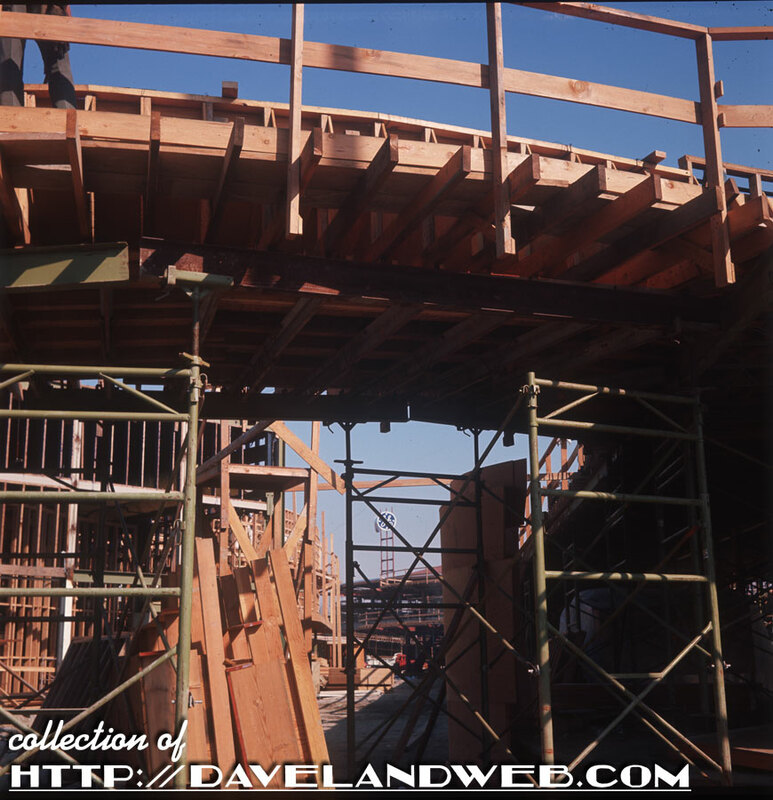 This undated view is most likely from 1966, showing the early stages of construction for the Pirates of the Caribbean attraction. 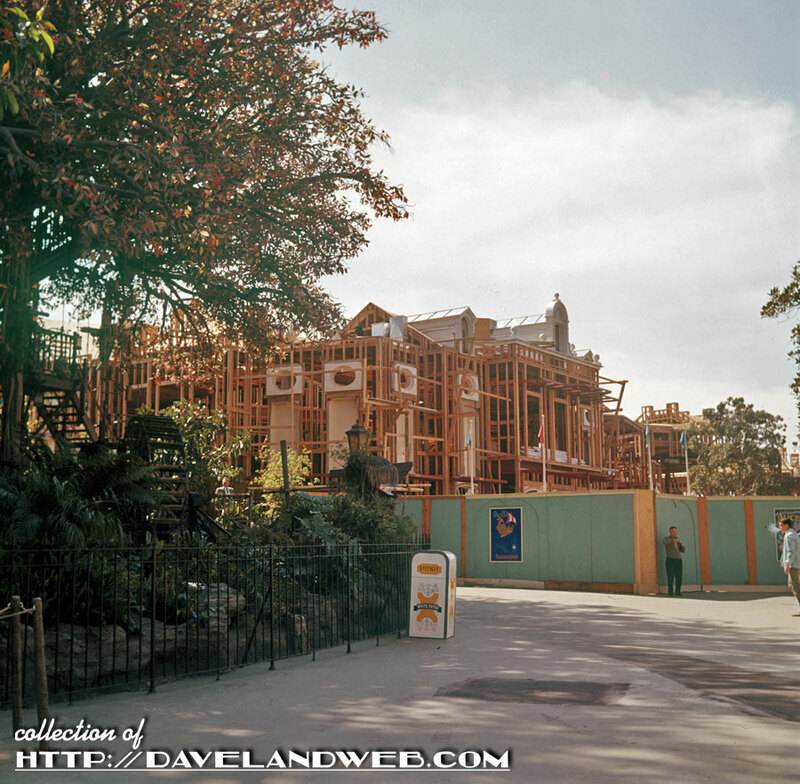 On the left of the photo is the Swiss Family Robinson Tree House. 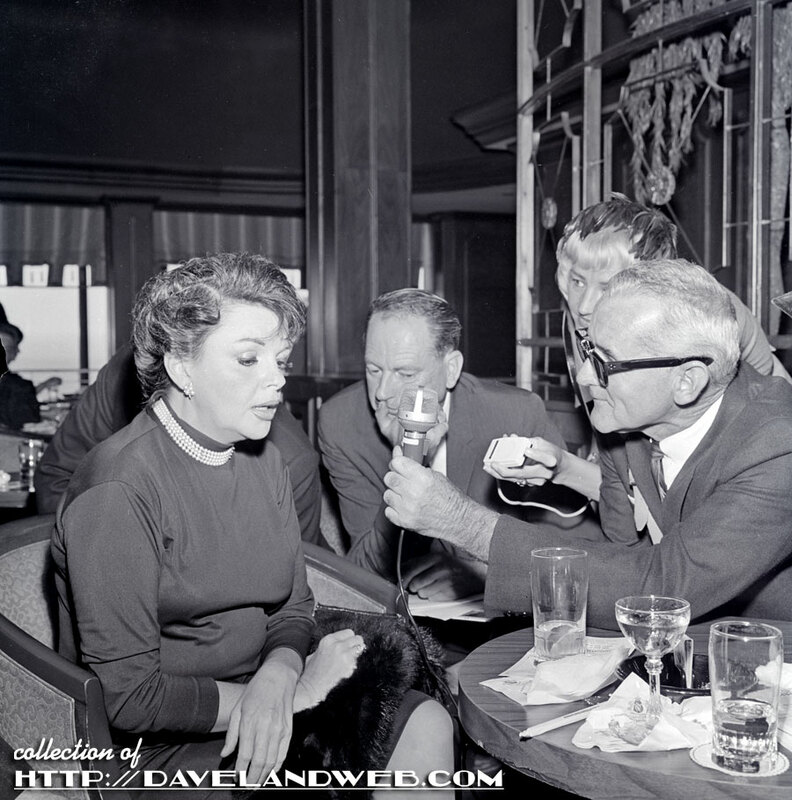 To the right is a gentleman taking a photo and on the far right, a young man exhaling. I hope he has his medical card; or maybe he was just waiting for Yippie Day. 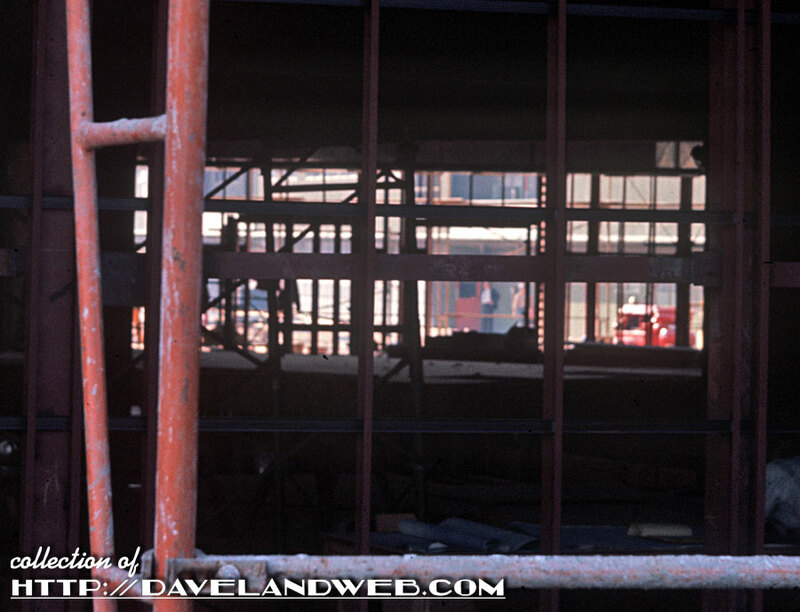 More vintage and contemporary Pirates of the Caribbean attraction photos at my main website. 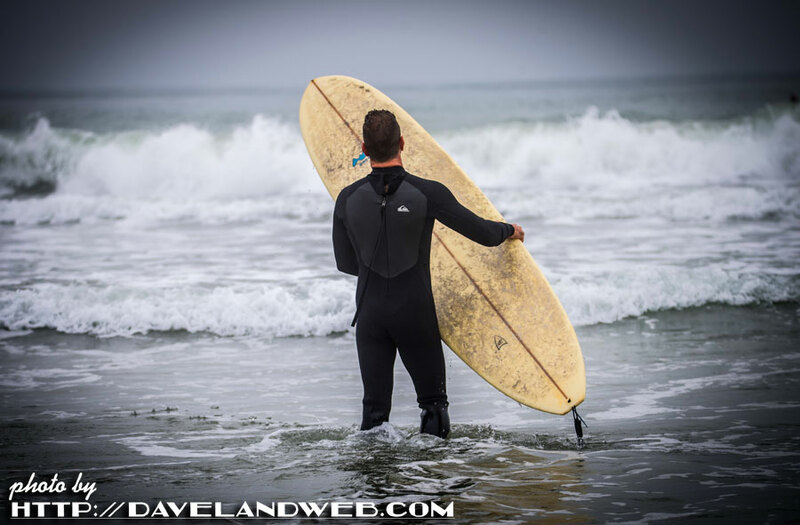 I have always loved the water and the beach; one of the few native Californians, I just guess it's in my DNA. 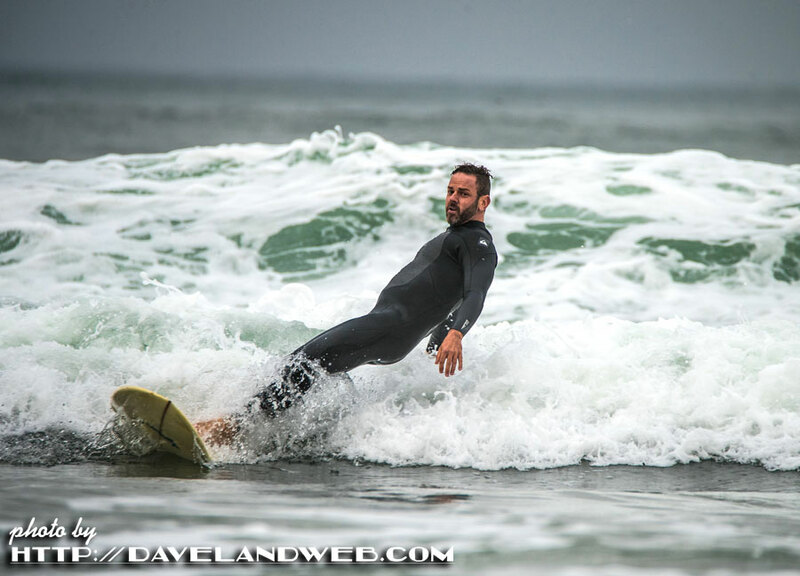 Last weekend I was finally able to do a surf shoot. 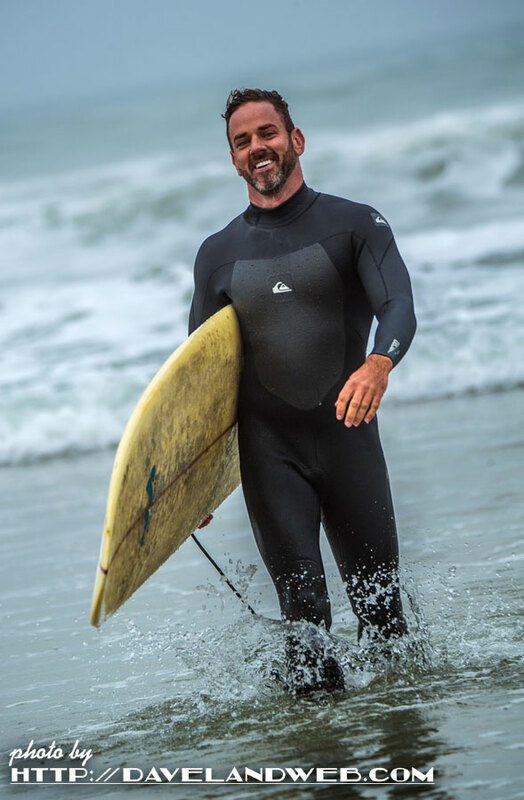 Although I can't surf, I love watching someone catch a wave and ride it, finally diving into the water at the end after being one with that mini force of nature. 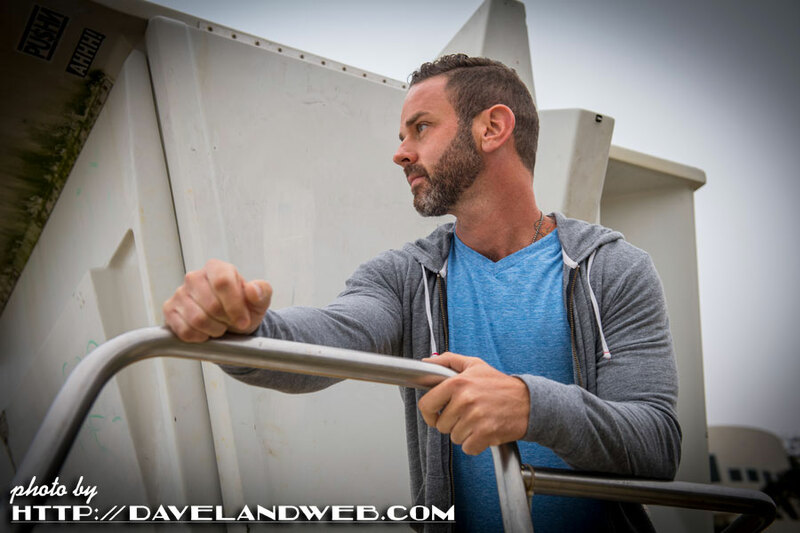 Jason Coleman was kind enough to allow me to tag along early Sunday morning to document his journey. 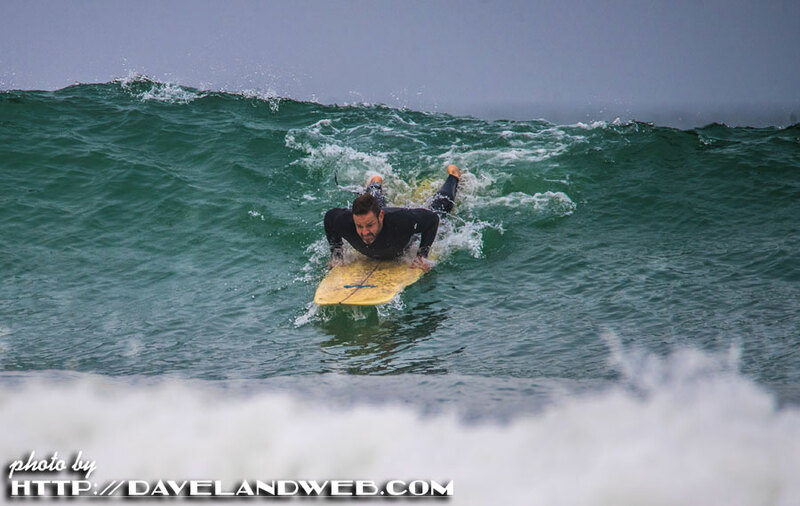 Although the actual surf shots were not great (which means we need to do it again! ), I was pleased with the rest. 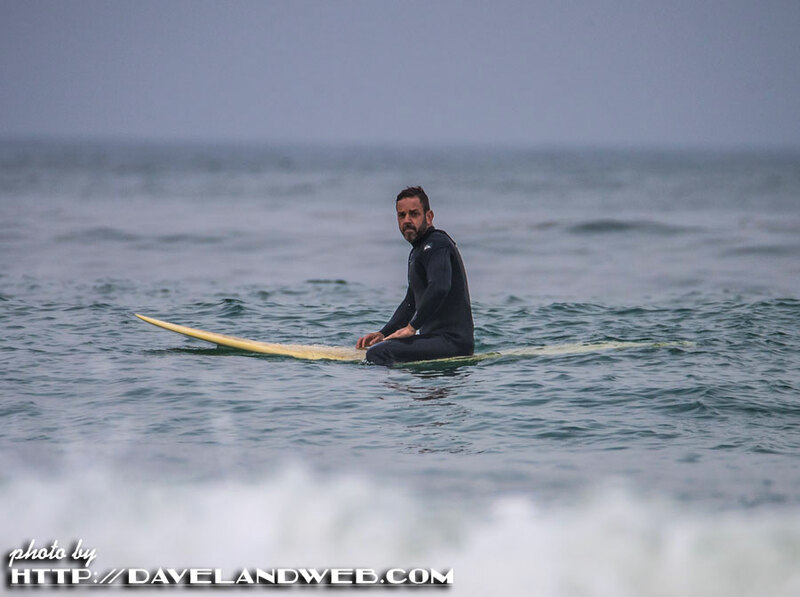 As soon as we arrived, Jason was scoping the water seeing where the best place to surf would be. 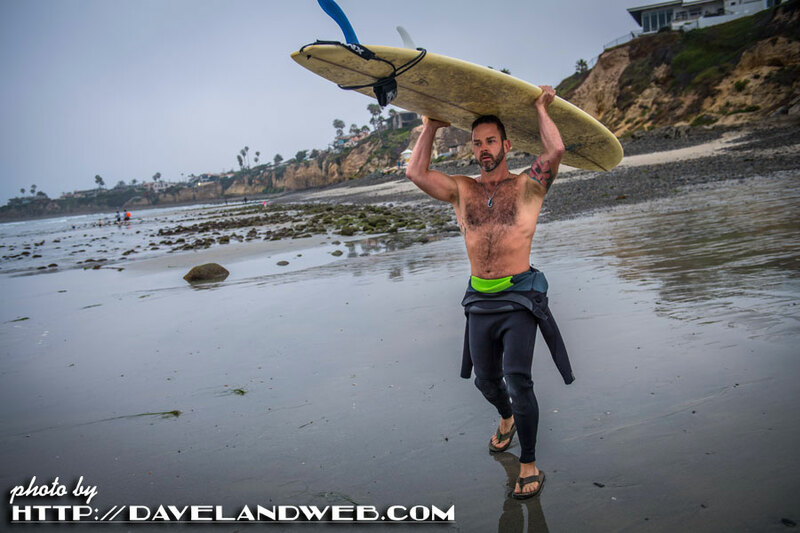 Then it was back to his vehicle to get his board and gear, returning to the beach for his morning surf. and then it's off to the waves. 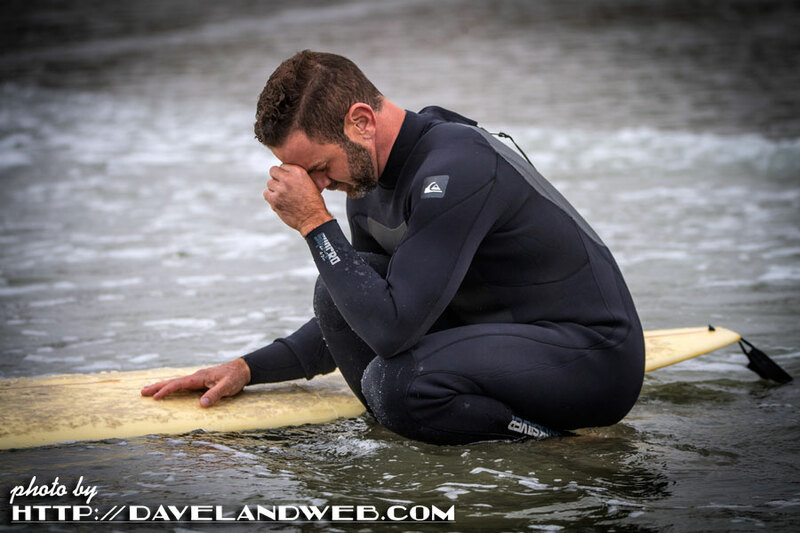 Much of a surfer's time is spent waiting. And waiting. And waiting. When is that perfect wave going to come? We were only out there for about 45 minutes. Next time will be longer...with more actual surf photos! And hey, breakfast was waiting! Gotta' get back into street clothes and head to town before everyone else wakes up on Sunday for brunch. More photos of La Jolla at my main website. Awhile back I was contacted by Jonathan Bullman, whose wife's great aunt was found in these photos from September 1957. 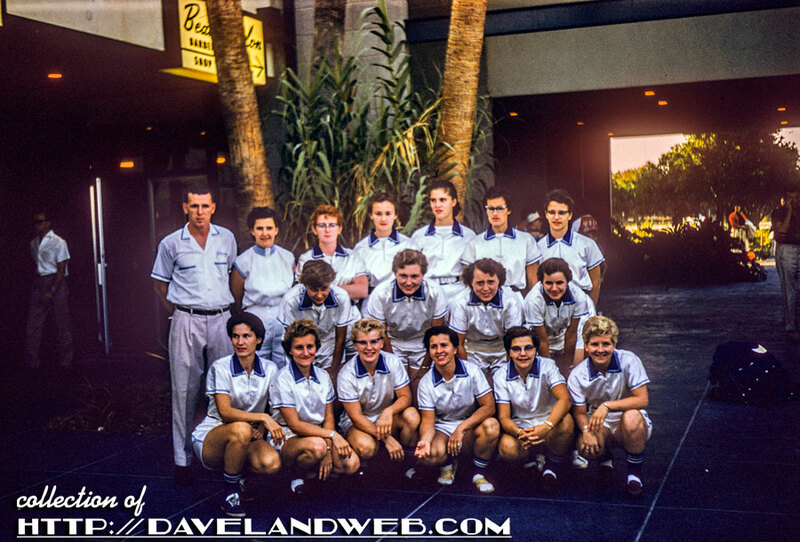 She was with the women's softball team called The Anchorette's from Indianapolis and they were staying at the Disneyland Hotel for a national softball tournament. They won the regional tournament and went on to the National tournament in California. 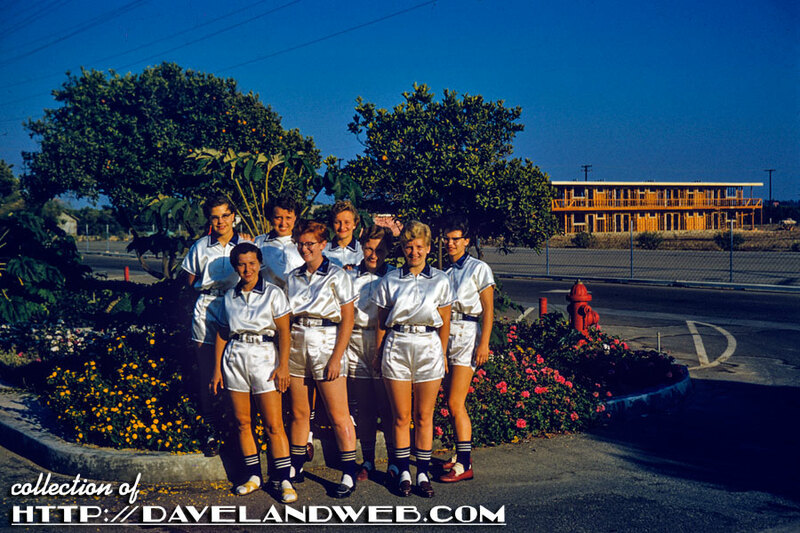 The 1957 National Women's Softball Tournament was held in Buena Park and Anaheim that September. 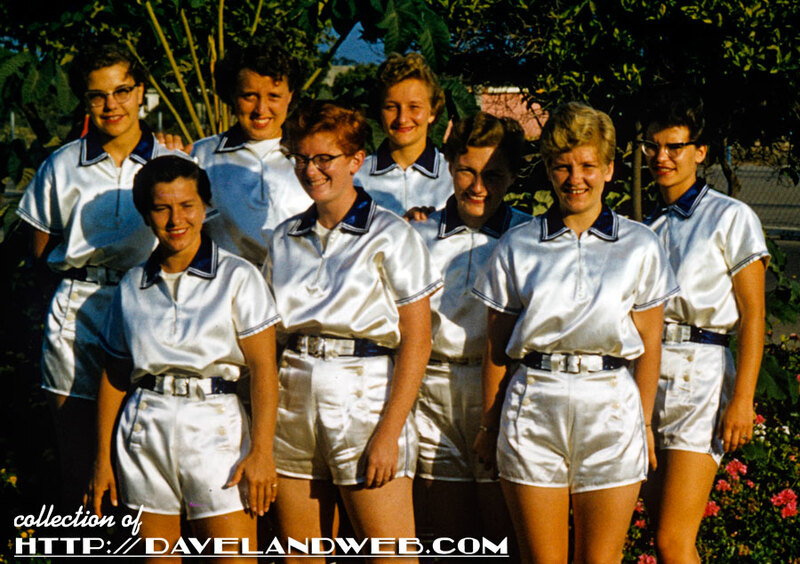 The Anchorettes would eventually go on to lose the tournament but she still talks about her softball days even 60 years later. 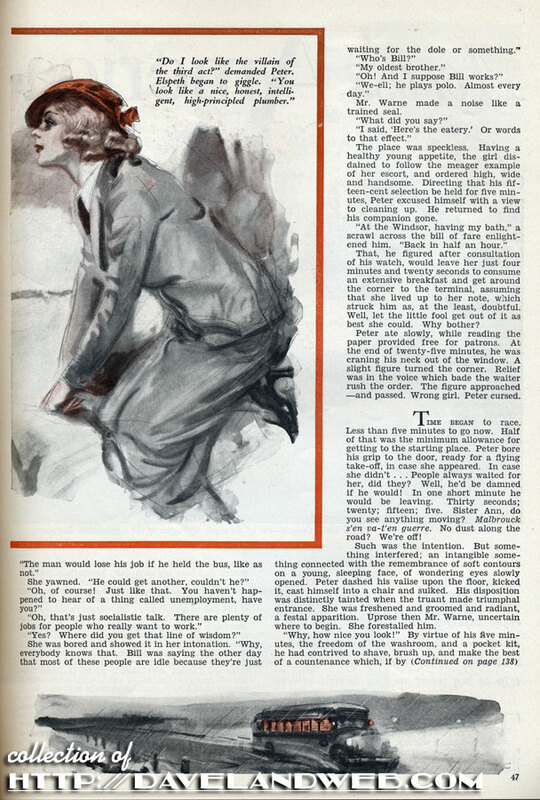 She's the tall short-haired redhead in glasses (seen in the detailed view above, front row, second from left). 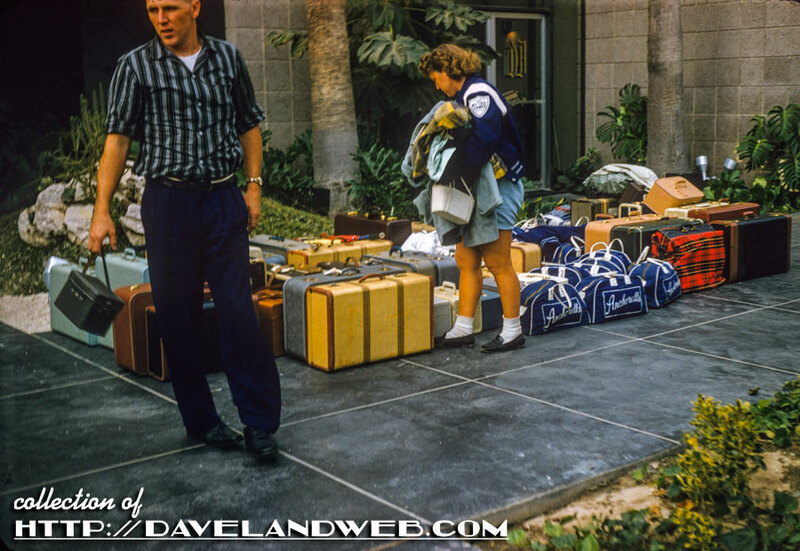 Another shot from the batch showing the Anchorettes' luggage outside the hotel. 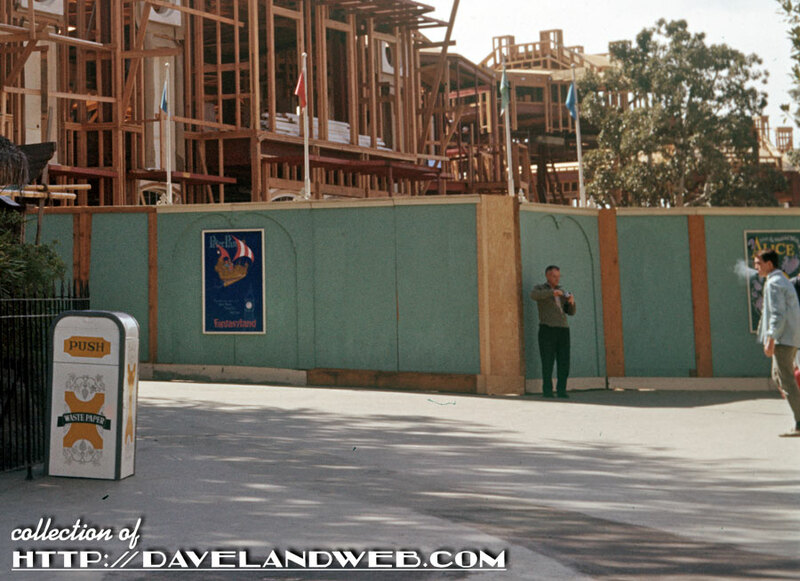 Note the "DH" on the door, which of course stands for Disneyland Hotel. 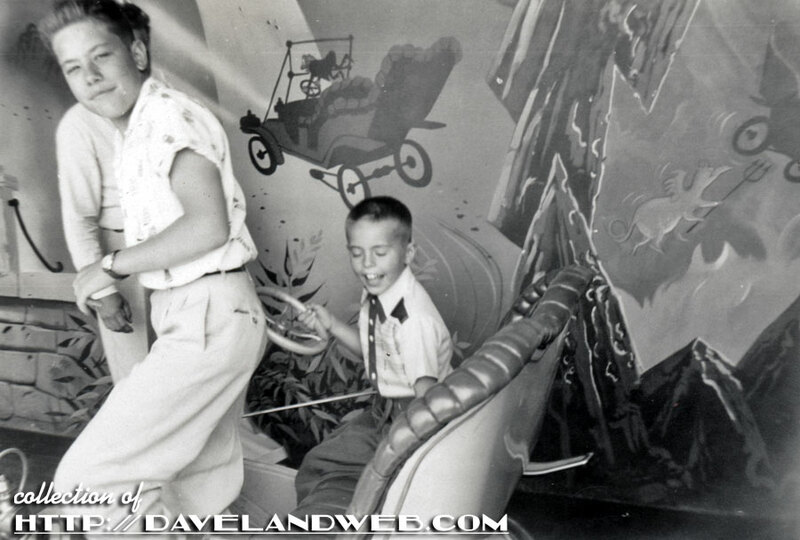 More vintage and contemporary Disneyland Hotel photos at my main website. One new one and a lot of re-hash for today (yes, still catching up on life!). 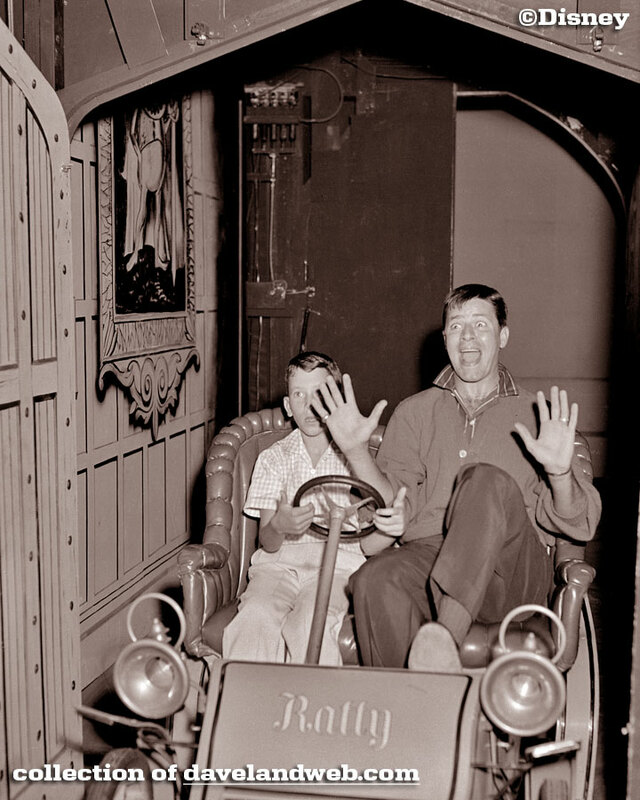 First shot is the "new" one, showing two tots who have just experienced Mr. Toad's Wild Ride in Fantasyland. 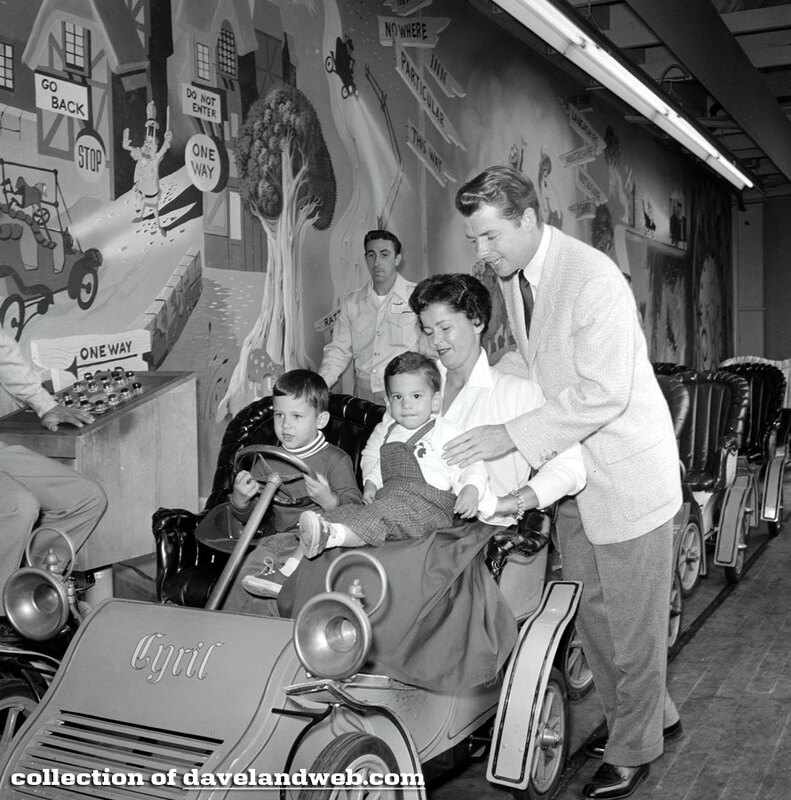 Of course, the real reason for attaining this photo is the view of the line queue mural in the background! 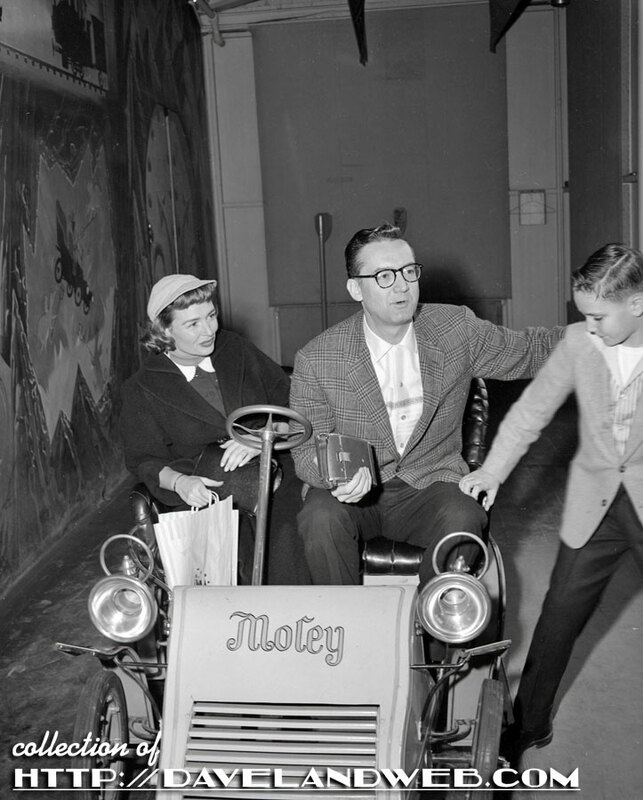 While we're at it, how about a shot from December 1957 of Donna Reed and Steve Allen also enjoying this dark ride classic? 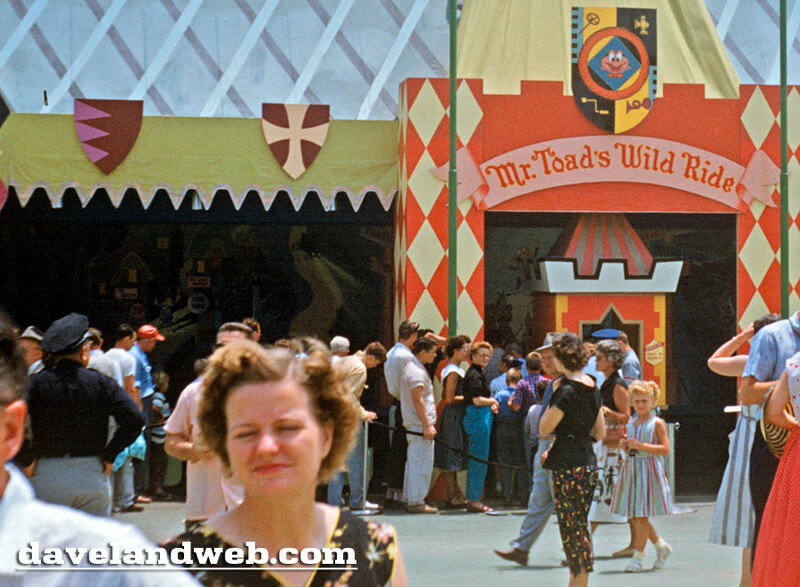 More vintage and contemporary shots of Mr. Toad at my main website. 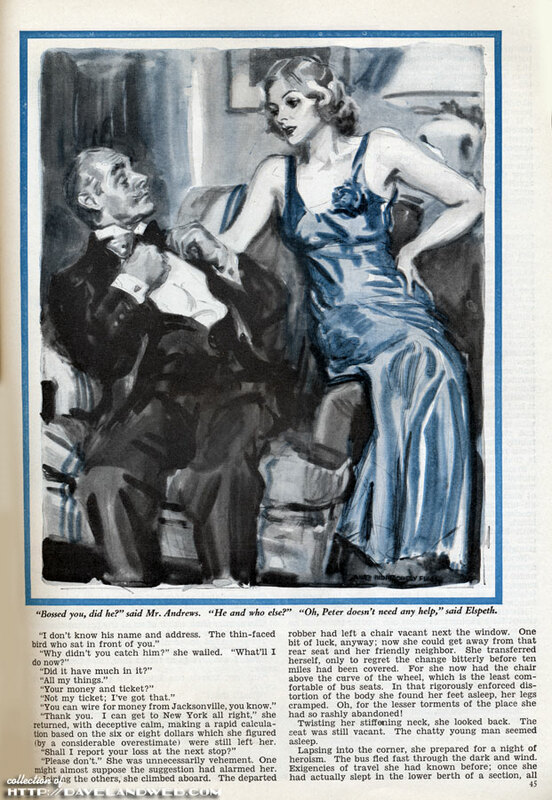 Most classic movie buffs have heard of the 1934 Frank Capra classic "It Happened One Night." 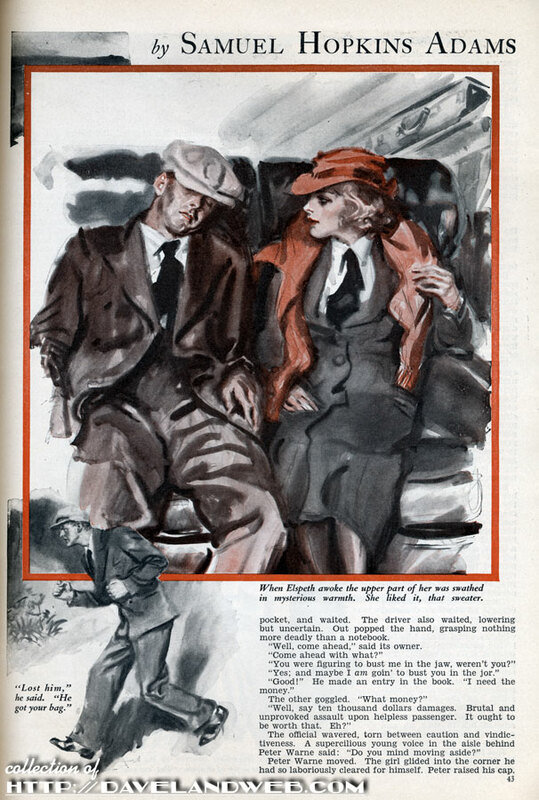 How neither one of its stars (Clark Gable and Claudette Colbert) was thrilled to be in it; how it swept the five major Oscar categories; and how Claudette Colbert had to be hauled off a train on the way to vacation to accept her award at the ceremony. 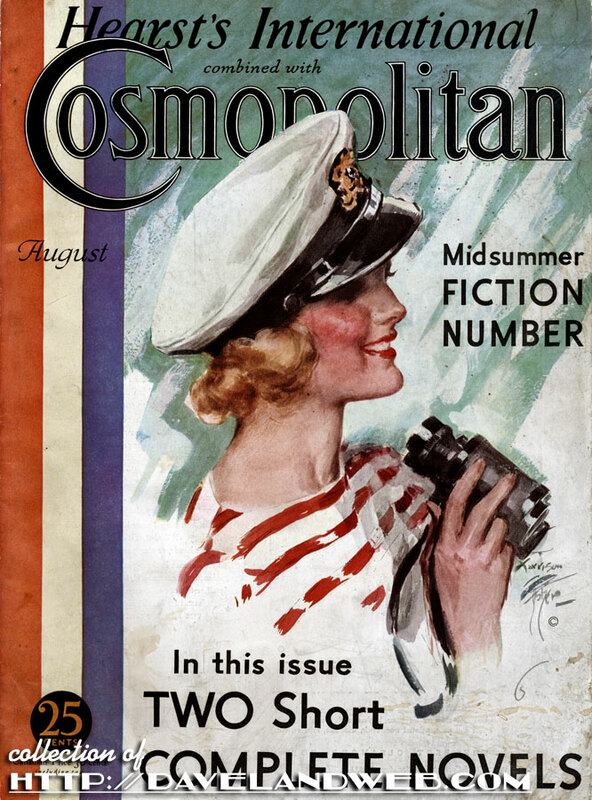 What most probably DON'T know is that it was based on a short story by Samuel Hopkins Adams, featured in the August 1933 issue of Cosmopolitan magazine. 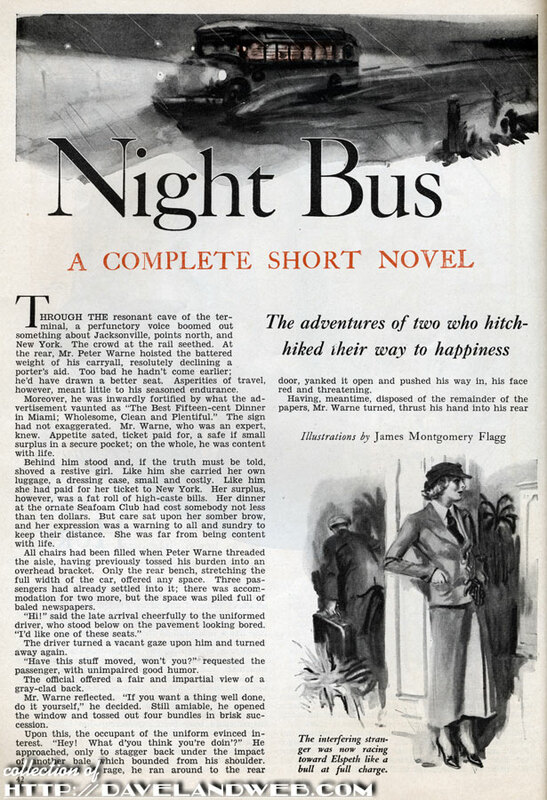 The artist for "Night Bus" is one of my favorite illustrators, James Montgomery Flagg, best known for his 1917 depiction of Uncle Sam on a military recruitment poster. 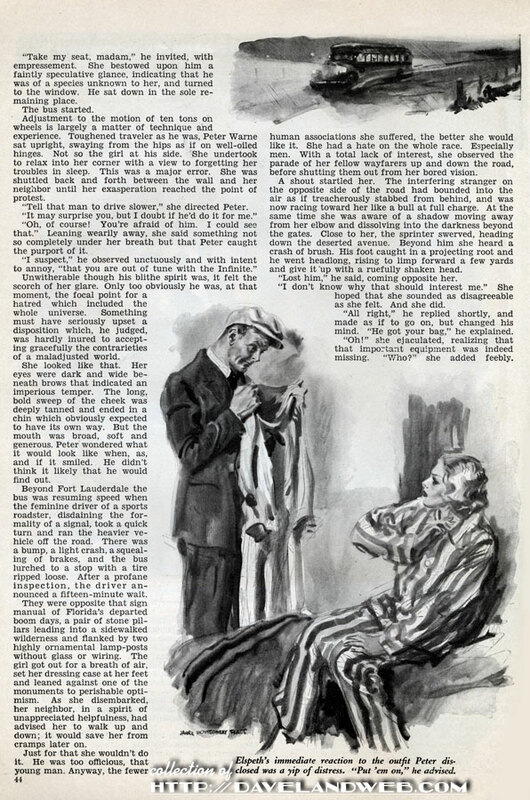 Here are the first few pages of the story, showcasing Flagg's vibrantly vintage illustrations. 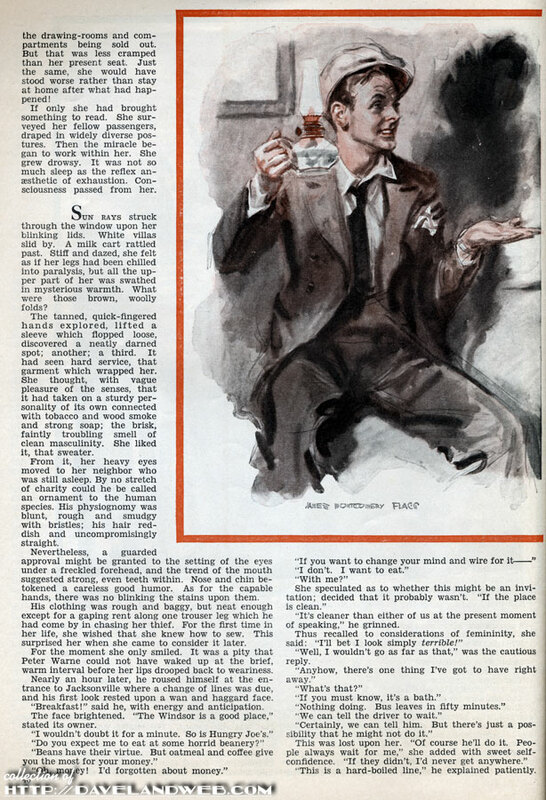 More pop culture and vintage goodies at my main website. One photo for today...just playing catch up with life. 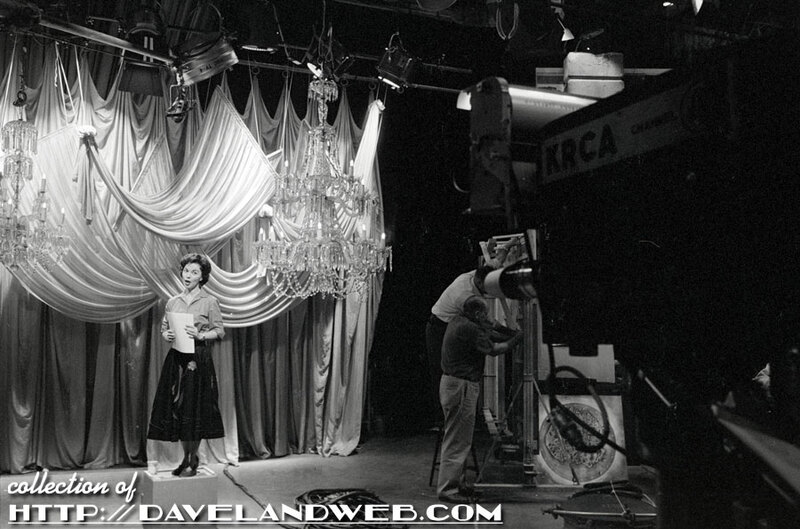 Judy Garland is not shown to her best advantage in this 1960s photograph shot by Willie Kee. I don't know squat about Kee, but if I had to guess, I would probably put this shot around 1964/1965. 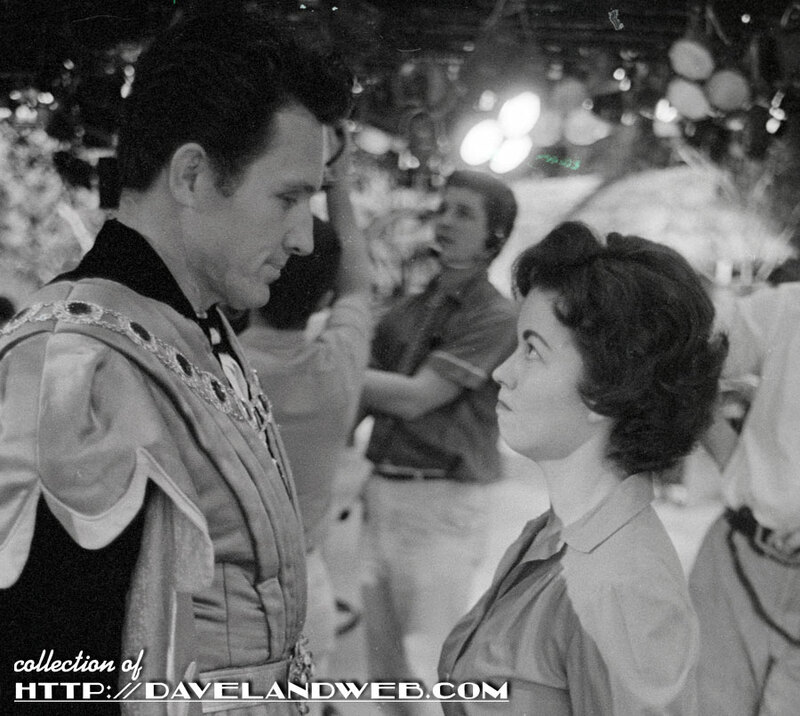 More photos from the taping of the February 1958 "Rumpelstiltskin" episode of Shirley Temple's Storybook. 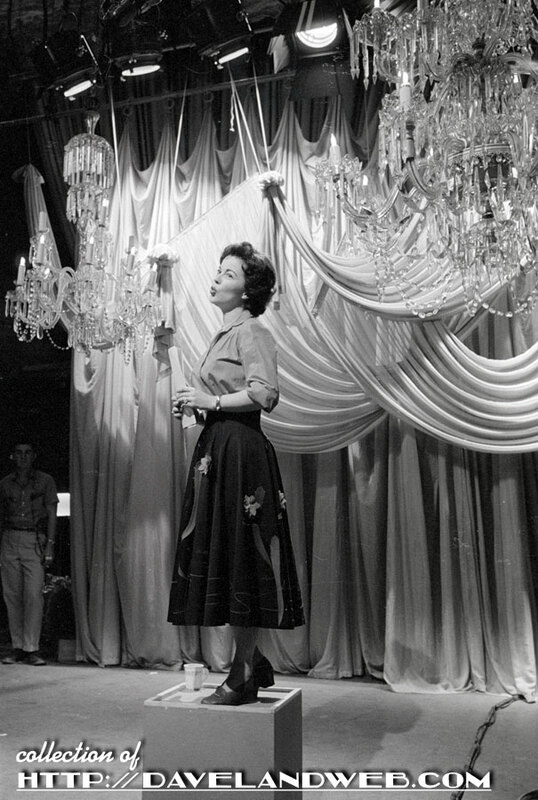 In today's shots, Shirley is rehearsing the theme song of the show, "Dreams Are Made for Children." 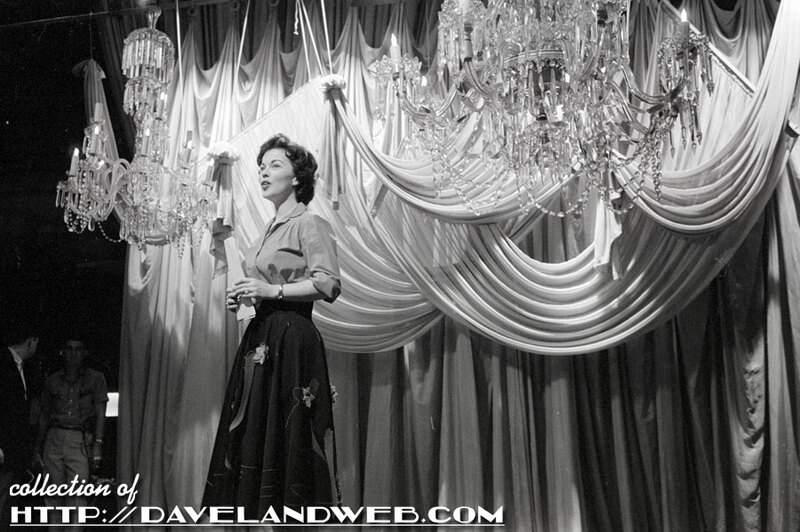 For the actual show, Shirley "floated" out on a "cloud" and sang the tune, dressed to the nines in Don Loper gowns. I could only find this poor vocal copy on youtube of Shirley singing the theme song. 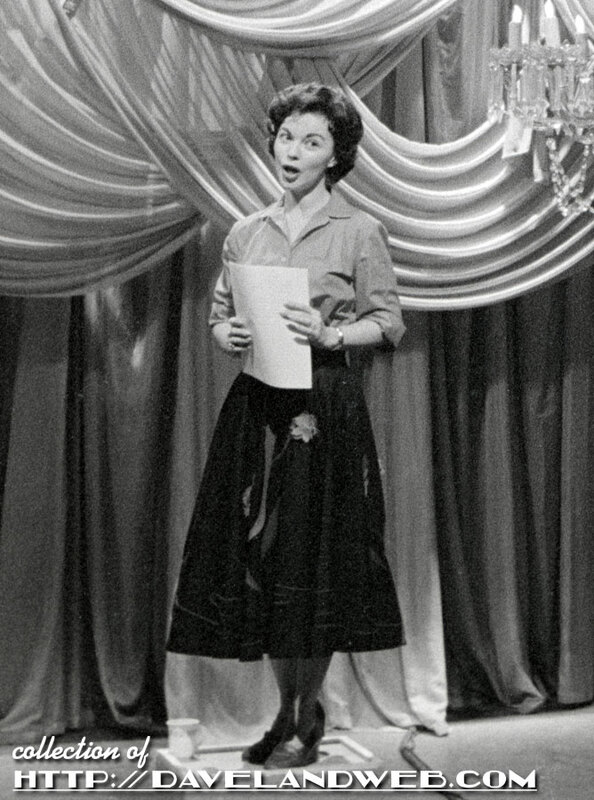 As an adult, Shirley really did have a very pleasant voice. 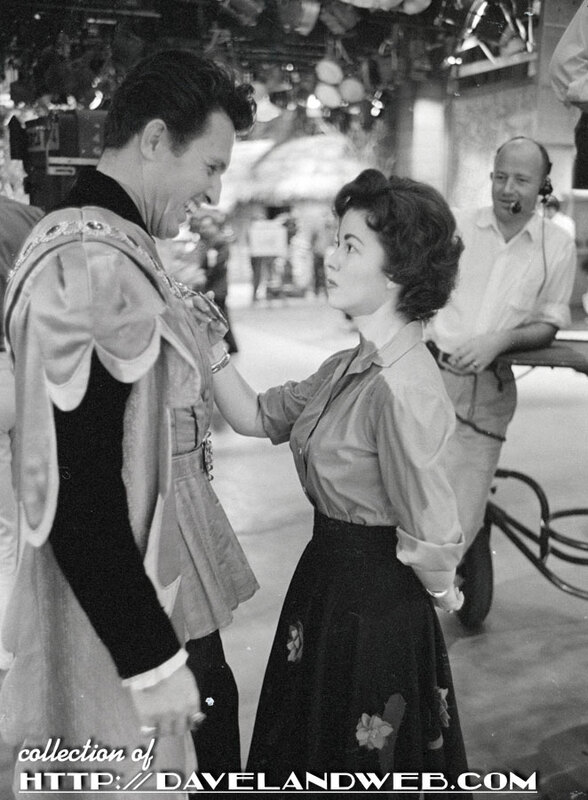 Looking fairly serious, Shirley inspects the medal of John Raitt, the star of the episode. She looks annoyed here; did Raitt use some foul language, or did he flub a line? 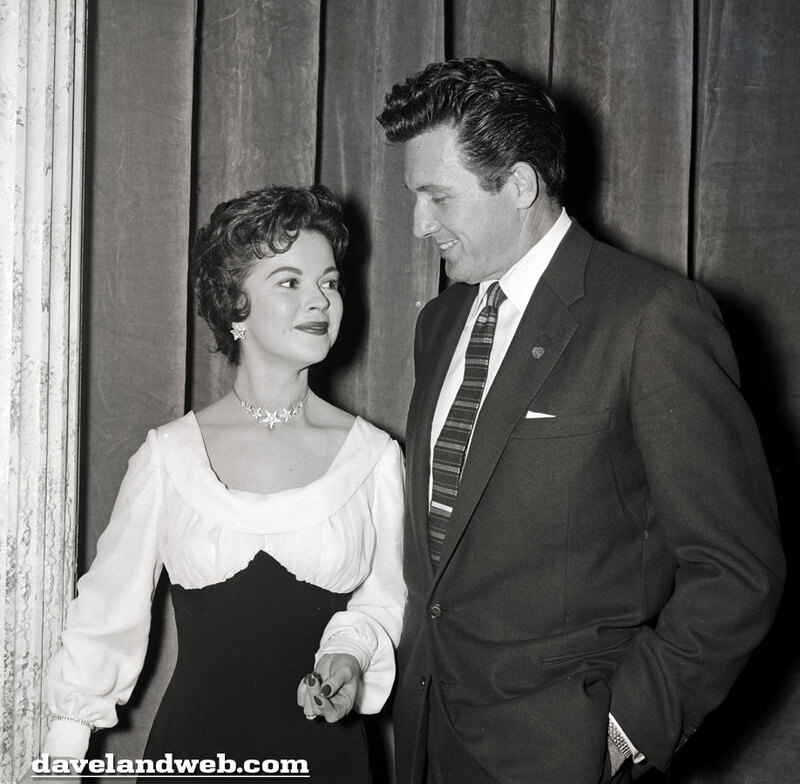 More Shirley Temple Storybook photos at my main website.